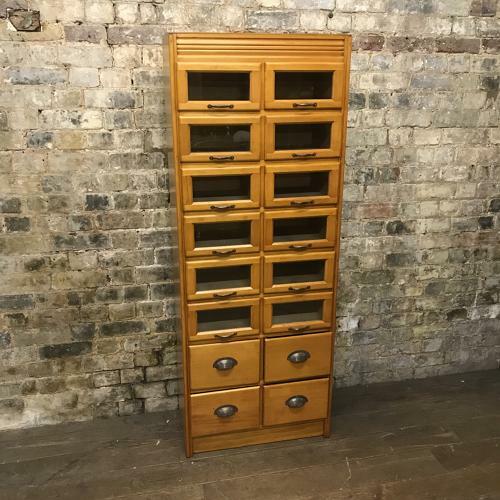 This extremely rare shirt cabinet, dating back to the 1930s, is made from the finest beech and oak and is complimented with sleek art-deco chrome handles. It includes two columns, each containing 6 oak-framed glass drawers and 2 full-wooden drawers. A stunning piece of furniture for any room, shop or space.